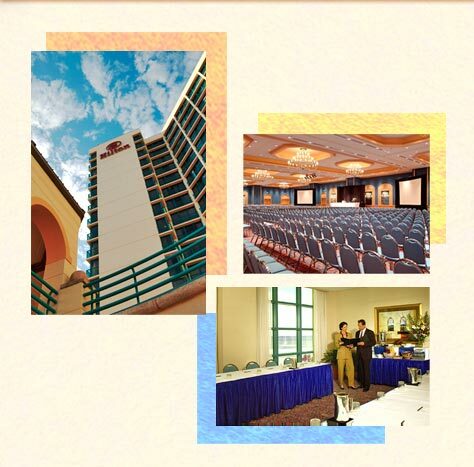 The Hilton Daytona Beach Oceanfront Resort is Hilton’s largest meeting facility on the east coast of Florida. Offering more than 60,000 square feet of flexible indoor and scenic outdoor meeting space overlooking the Atlantic Ocean. The Hilton can accommodate groups from 20 to 2,000. The Hilton offers unparalleled meeting service, personalized meeting service from our convention service managers and a full service audio-visual staff. The resort is located directly across from the newly renovated Ocean Center Convention Center offering over 200,000 square feet of meeting and exhibit space.